In the wetlands, 80 kilometres north-east of Poznań, 1933, a local school teacher, Walentin Szwajcer, discovered traces of a wooden settlement at Biskupin. The year after, the influential archaeologists Kostrzewski and Rajewski started large scale excavations. By the beginning of WWII, 2500 square metres were unearthed. 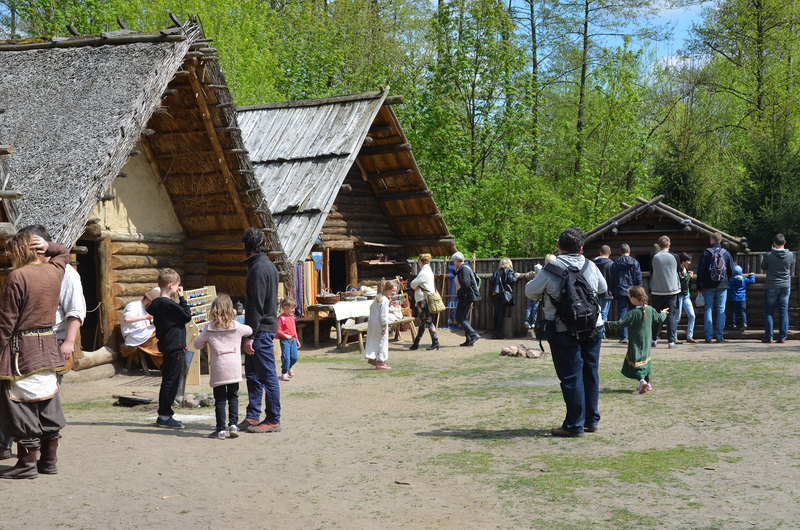 The excavations drew the attention of the national establishment and the site has played a role in Polish historical consciousness ever since although the Lusatian Culture (Late Bronze Age, Early Iron Age) are not the direct forebears of the present day Polish population. It is hard to see such connections in a period without written sources. Already after a few excavation seasons, 1936 the first reconstructions were built under guidance of the archaeologists. 1940-1942, the site was further excavated by the German occupiers who tried to prove the area was originally inhabited by Germanic people. 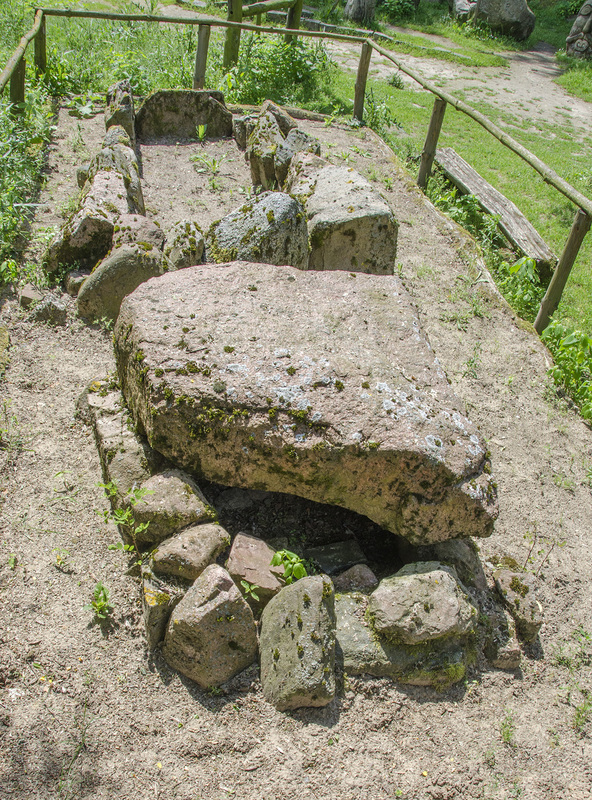 After the war, excavations continued until 1974; generations of Polish archaeologists having learned how to excavate here. 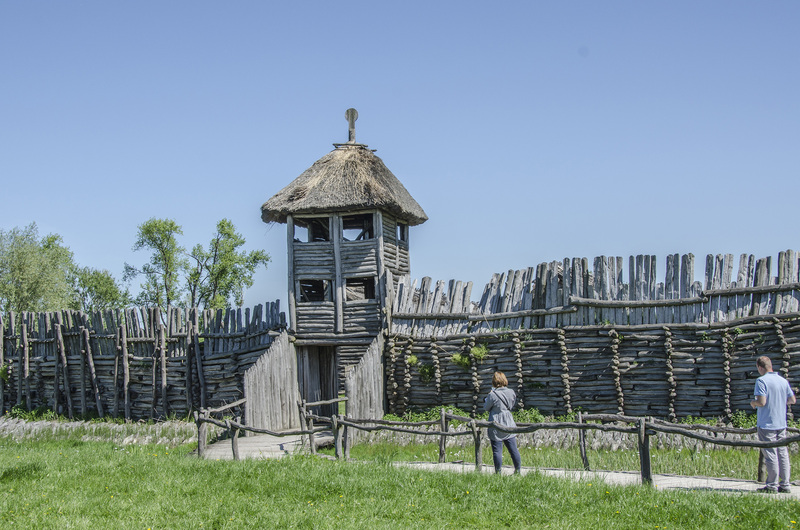 The present day archaeological open-air museum at Biskupin is maybe far away on the countryside, but it is one of the most frequented of its kind in Europe. It has close ties with the National Museum in Warsaw as well as the Warsaw University. A strong connection to the archaeological society is also ensured by many archaeological conferences taking place in the museum. 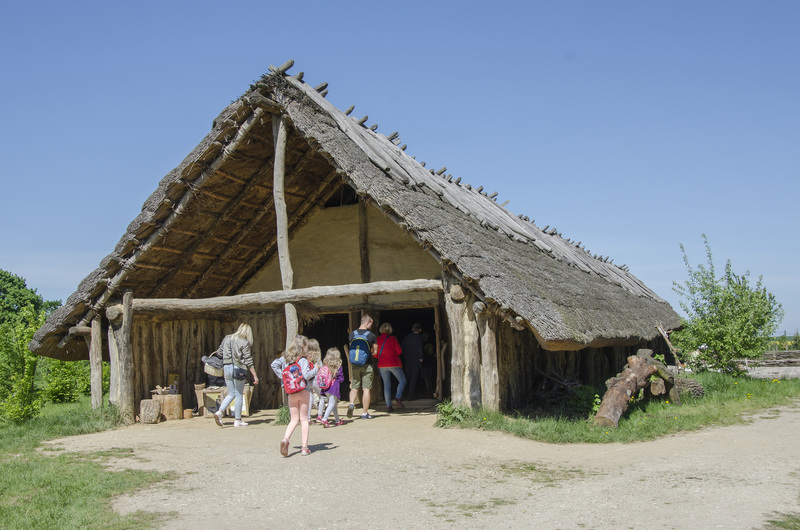 The site houses an indoor museum as well as a wood conservation laboratory monitoring the decay of the archaeological substance (most of which in situ) as well as the decay of the archaeological reconstructions. 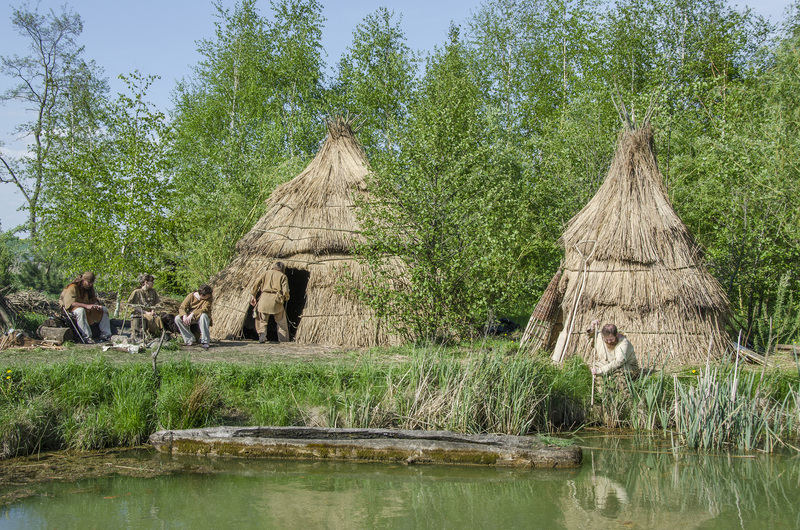 For experimental archaeology, 150 – 200 hectares are available, for example for crop monitoring experiments as well as for keeping and breeding of (pre)historic animals (sheep, ponies, horses and oxen). 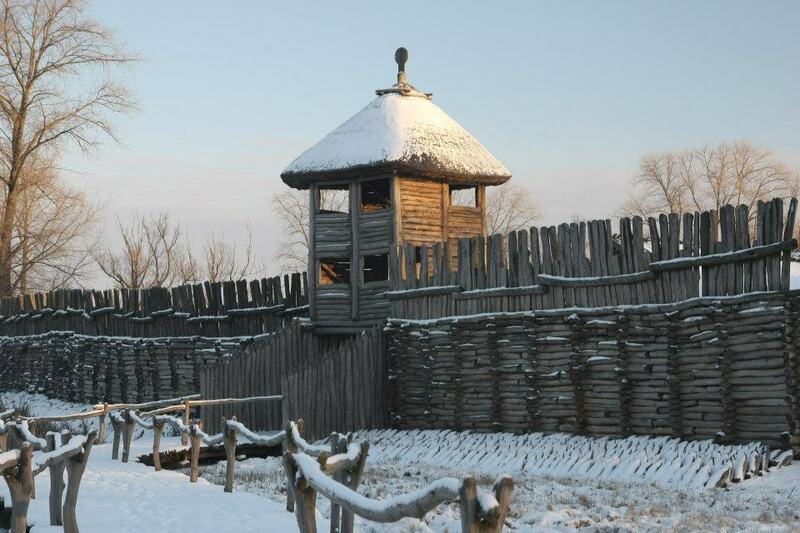 The main area of reconstructions is formed by a tower and gate, a partly reconstructed rampart and two rows of barrack like houses. With its long and continuous history since the 1930s, comparable to that of the German Unteruhldingen since the 1920s, Biskupin has managed to retain knowledge about and experience with wooden constructions. At present, Biskupin works at several sites across Europe to renovate or restore similar museums. Most of Biskupin’s visitors are pupils. There are educational programs fit for different age categories, combined with activities throughout the territory. Polish pupils usually visit one out of a series of cultural / historic landmarks during their school career: the old capital Cracow, Auschwitz or Biskupin. The success story is the Biskupin archaeological festival. 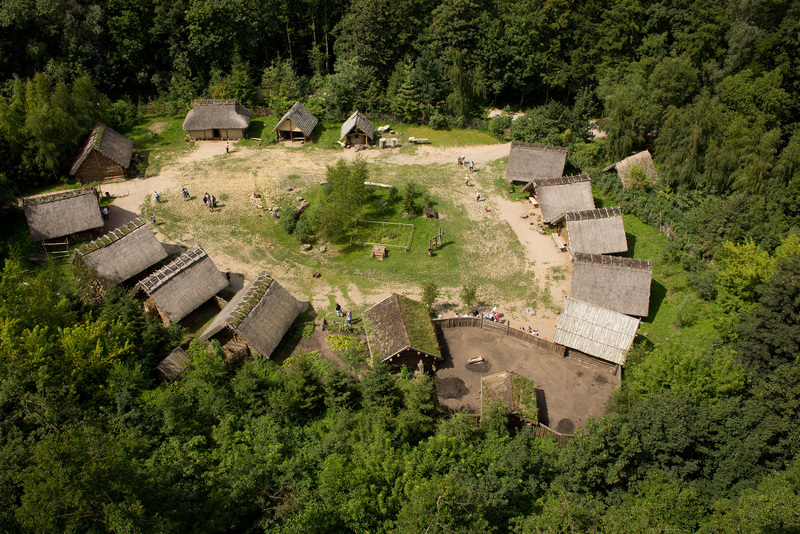 In September, the site is visited by 70,000 – 90,000 people, most if which again are pupils. The festivals are themed with “in the shadow of the pyramids” or “Romans and their barbarian neighbours”. The museum is open all year, but check out the website for events and the such. Archaeologist, graduated at NCU in Torun, Poland. Ph.D. in ancient archaeology. She completed her doctoral thesis on the Hellenistic world: political, cultural and economic contacts between Ptolemaic Egypt and the Greek cities on the northern shore of Black Sea. Now her scientific interests concern the role of experiment in archaeology, Bronze and Iron Age, cultural contacts between the ancient world and the European barbaricum as well as cultural heritage management and heritage tourism.